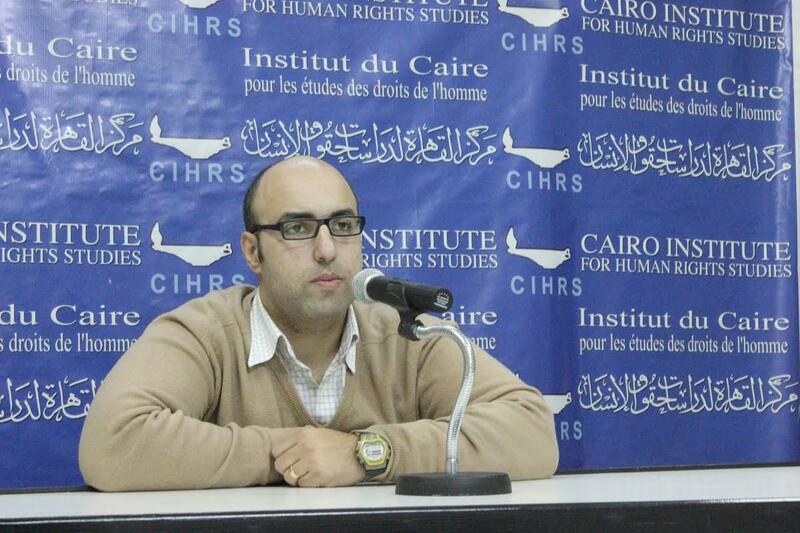 Egypt Country Director for the Cairo Institute for Human Rights Studies (CIHRS) Mohamed Zaree is up for the 2017 Martin Ennals Award, a prize which draws attention to human rights defenders who put themselves at risk to defend others’ rights. “It is not about winning. The Martin Ennals Award is about shedding light on dangers human rights defenders face around the world,” Zaree told Egyptian Streets. The nomination is not merely for him, Zaree believes, but for the honor of the institute and all rights defenders in Egypt who face immense challenges to stand for what they believe in, among which are death threats, funds freezing, travel bans and tarnishing reputations, he stated. “[Zaree] is widely seen [as] a unifying figure bringing together the human rights community in Egypt to advocate with a common approach,” according to an official Martin Ennals statement. The Martin Ennals Laureate, to be announced in October, receives a minimum of 20,000 CHF. Finalists receive a minimum of CHF 5,000 each. Furthermore, all three receive 11,650 CHF from the City of Geneva for a human rights project, along with a travel grant. The Award is selected by a Jury of 10 Global Human Rights Organizations and given out in Geneva. “The money would be poured into further human rights causes, for those who defend the right to form NGOs, for researches into the matter and other human rights issues, and for people involved in human rights legal cases who need money for courts and lawyers,” Zaree said. The award also provides for personal protection and allowing work to continue. “In Egypt, among other places around the world, human rights are viewed as leisure, trivial if compared to other challenges such as fighting terrorism,” Zaree stressed, adding that respecting human rights is an integral part of stability and security; their violation along with injustice gives extremism more ground. The Egyptian is competing with FreeThe5KH, five Human Rights Defenders from Cambodia, and Karla Avelar from El Salvador. “Human rights are for a dignified life,” asserted Zaree.